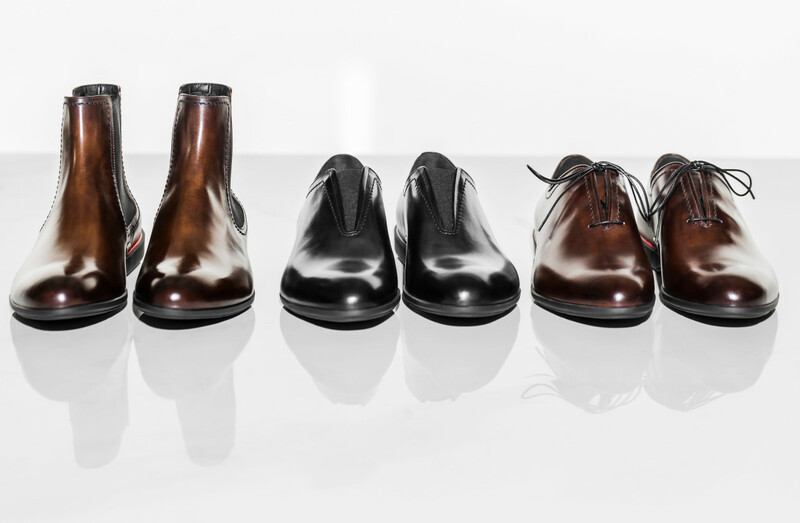 Berluti of Paris, established in 1895, is well known as one of the world's most luxurious shoemakers, with clients ranging from French aristocrats to Andy Warhol and many famous actors. 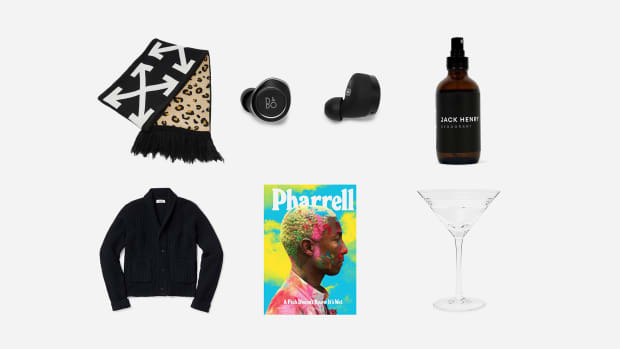 Several years ago they branched out into clothing and accessories, and now the storied brand, part of the LVMH portfolio, is letting its hair down a bit. Off The Road, Berluti’s newest accessory range for fall/winter, uses the same painstakingly beautiful hand-craftsmanship and luxe leather found in its shoemaking atelier and applies them to the most iconic items of road warrior wear. Each piece is handcrafted from a single piece of the design house's posh Vitello Fiore and Venezia leathers with a deep, rich patina, which is extremely soft to the touch. 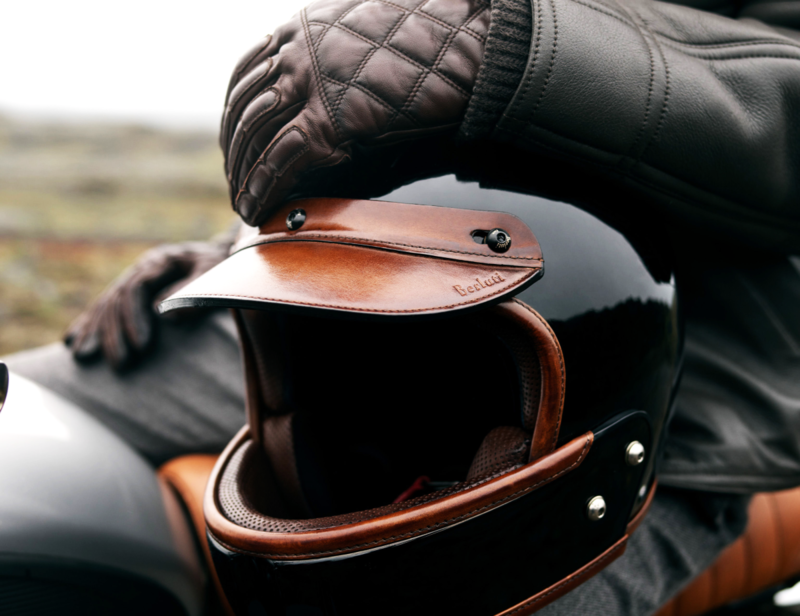 Sleek textures are set off by quilted, double stitched details echoing the protective padding seen on motorcycle gear. 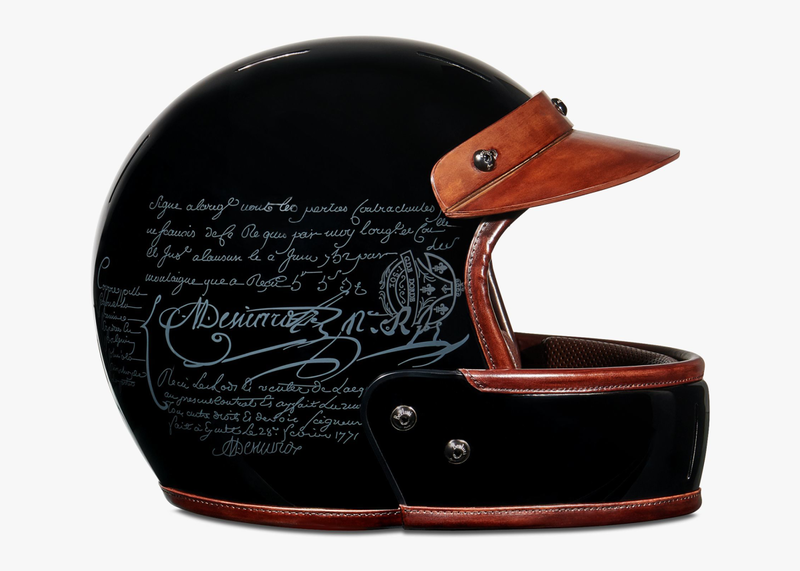 The most appealing piece is a leather and carbon fiber helmet with Berluti's signature "Scrito" pattern of engraved script. The carbon, finished in gloss black, was developed to offer the best possible combination possible of thinness, lightness and protection, while hardware is made of black galvanized metal. 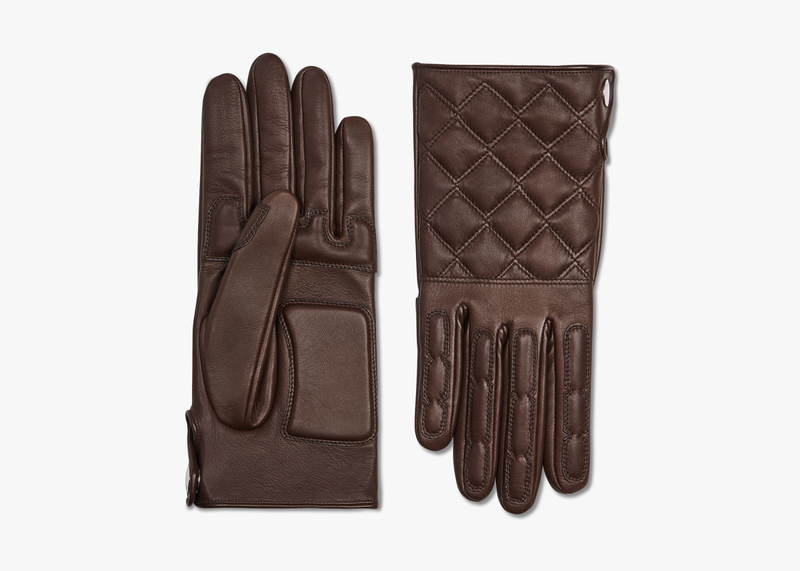 The silk-lined lambskin biker gloves run a close second, with padded and quilted sections that are more than merely decorative. 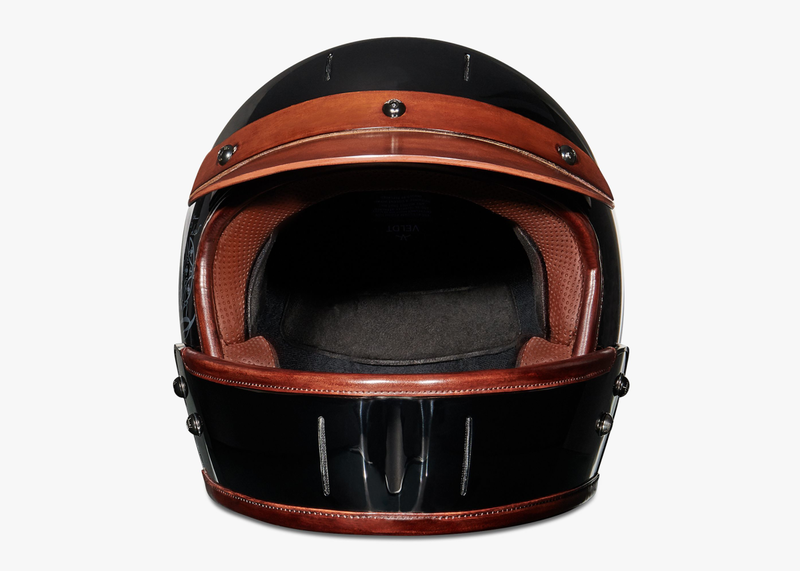 Made slightly longer they are designed to offer protection from the elements but would look perfectly at home racing down the streets of Milan. 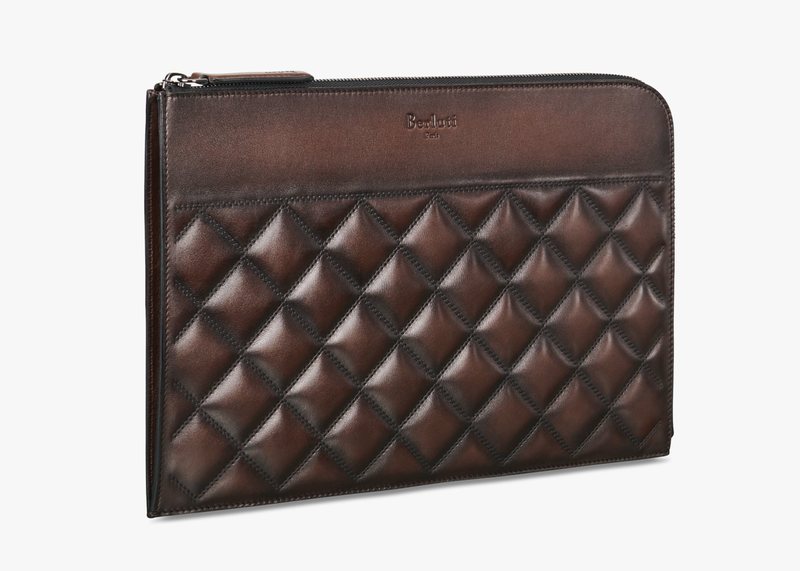 An oversized, quilted Vitello leather clutch echoing the pattern on the gloves is designed to hold a gentleman's requisites, be they documents (like the deed to the Tuscan vineyard you've just acquired) or a laptop, in the same sleek style and without extra clutter. 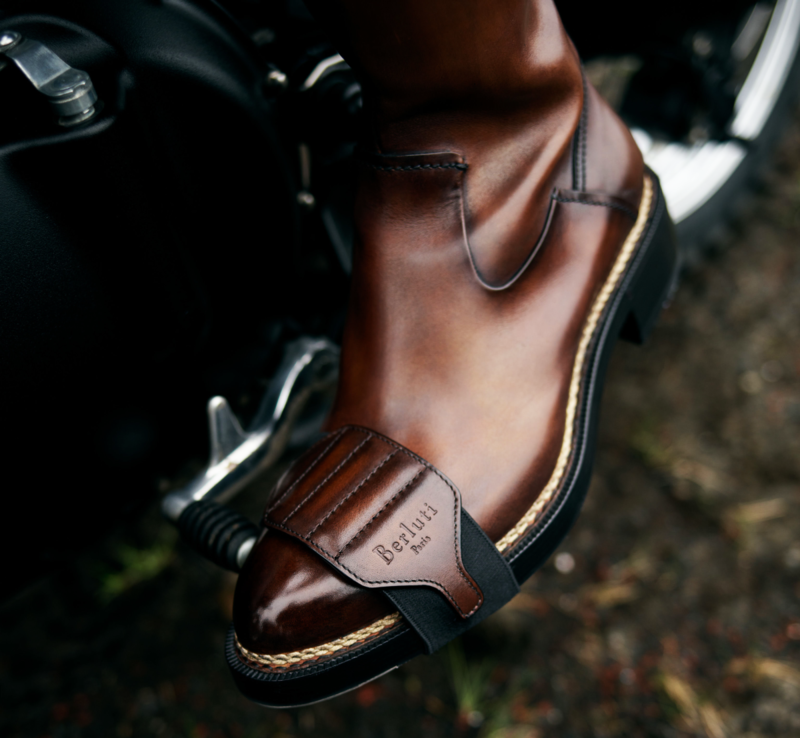 Of course, Berluti makes many styles of boots suitable for riding a vintage Triumph Bonneville for instance, and they will even sell you a pair of bespoke bootstraps to complete the look. For even racier footwear, Berluti has also produced a limited edition collection for Ferrari, "designed specifically for gentlemen drivers" and inspired by the marque's recently unveiled Monza models. 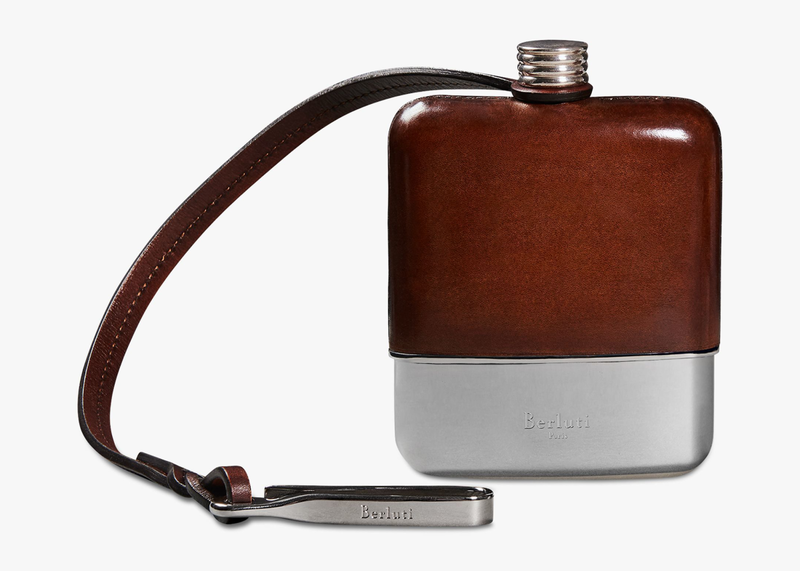 And when all the driving's done, we recommend one further Berluti accessory to end the day on the proper note: a sterling silver and hand-rubbed Venezia leather flask with handsewn topstitching and a silver and leather lanyard, made in Italy.